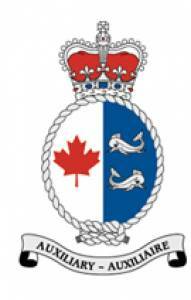 The Canadian Coast Guard Auxiliary welcomes the announcement by the Government of Canada of a new Search and Rescue Volunteers Tax Credit. The Government has recognized the important role played by search and rescue volunteers in contributing to the security and safety of Canadians. We were shocked and saddened to learn of the loss of three Coast Guard crew in the Arctic yesterday. 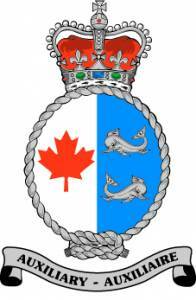 On behalf of all the members of the Canadian Coast Guard Auxiliary across this country, please accept our sincere condolences for this loss. Our thoughts and prayers are with the families, friends, and colleagues of these crew who gave of their service to make this country a safer and better place to live. 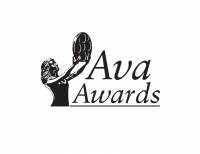 The CCGA Public Service Announcements “Help Us Bring Them Back” and the defibrillator training video “Save Someone´s Life” have been presented with 2012 AVA Platinum Awards. 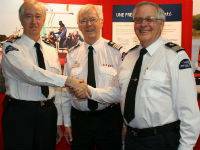 The Public Service Announcements produced by the Canadian Coast Guard Auxiliary were presented with an Award of Excellence at the 2011 Videographer Award Competition. There were about 1,800 entries in the 2011 competition.The Award of Excellence was awarded to thoseprojects that the judges deemed were written, produced, shot and/or edited in anexceptional manner. Approximately 14 percent of the entries won this award. 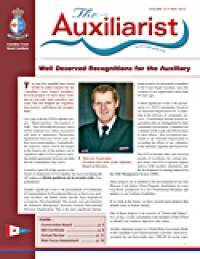 The Canadian Coast Guard Auxiliary Annual Report is now available. The report covers the operations of the CCGA for the 2010 calendar year. The CCGA has produced a new series of Public Service Announcements. The new messages draw the public attention to each of the five CCGA regions. 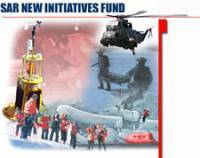 The Canadian Coast Guard Auxiliary will receive $887,000.00 from the National Search and Rescue Secretariat over a two-year period. The funding will allow the Auxiliary to realize two important projects. Mr. Leopold Béchette was elected President of the CCGA Québec at the Annual General Meeting held in Quebec City on March 19. A promotional video produced by the National Office for CCGA-Quebec has been presented with a 2010 Aegis Award and a DV Award. The video describes how the Auxiliary can provide SAR coverage for municipalities in Quebec. 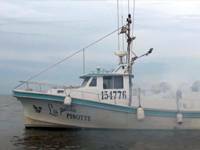 "Fire on Board" a short documentary produced by the CCGA National Office in collaboration with CCGA-Maritimes has won a Platinum MarCom Award, an Aegis Finalist Award, a DV Award and a Platinum Ava Award. "Man Overboard" another short documentary produced by the CCGA National Office in collaboration with CCGA-Newfoundland and Labrador has won a Gold Marcom Award and a Gold Ava Award. 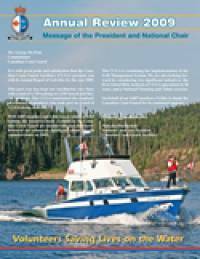 The National Board of the Canadian Coast Guard Auxiliary has adopted a new mission statement. Members of CCGA Newfoundland are featured in a short documentary produced by the CCGA National Office. The documentary shows a training exercise that features a man overboard scenario. 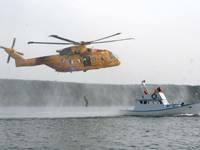 Videos produced by the Canadian Coast Guard Auxiliary have now surpassed 100,000 total viewings on the popular site YouTube. This is a great result that shows how the CCGA can raise public awareness and promote the good work of our volunteers. CCGA videos have also been awarded several awards in recent years. 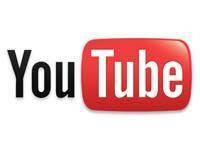 Their popularity on YouTube shows a growing recognition of the CCGA by the Canadian Public. Members of CCGA Maritimes are featured in a short documentary produced by the CCGA National Office. The documentary shows a training exercise that features the re-enactment of a fire on board of a fishing vessel. 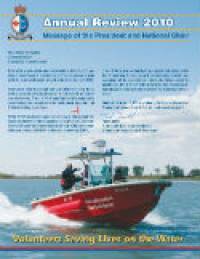 The latest issue of our national newsletter is now available on-line. 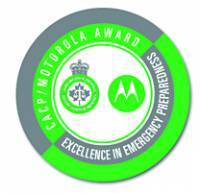 The Canadian Coast Guard Auxiliary (Quebec) inc. and the Service de sécurité incendie de l´Agglomération de Longueuil jointly received the 2010 CACP/Motorola Award for Excellence in Emergency Preparedness at the Annual Canadian Association of Chiefs of Police Conference on August 23 in Edmonton. Two CCGA projects have been rewarded with recognitions at the 2010 Communicator Awards Competition. Prince William and Kate Middleton requested charitable gifts in lieu of wedding presents, seeking to pre-empt the tide of extravagant - and unusual - offerings that typically flood in for a royal engagement. “Collision on the water” a documentary produced by the CCGA National Office in collaboration with CCGA-P Unit 35 (Victoria) has won a Platinum Award at the 2010 Hermes Creative Award Competition. 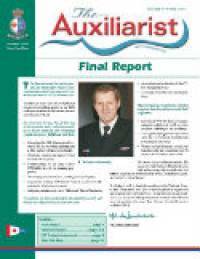 The Canadian Coast Guard Auxiliary Annual Report is now available. The report covers the operations of the CCGA for the 2009 calendar year. The National Board has approved new regulations on the CCGA uniform. 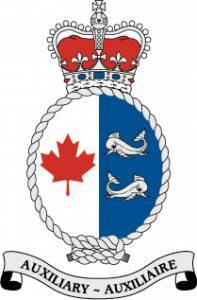 The Canadian Coast Guard Auxiliary (Québec) Inc. won an Award of Distinction, in the Business and Organization category at the 14th edition of Mérite québécois de la sécurité civil. Over 100 boating safety experts, marine industry representatives, government officials and boaters gathered on January 10th, 2010 to honour boaters who put their lives at risk to save other boaters, the best boating safety initiatives, programs promoting safety and environmental programs directed at keeping Canadian waters clean for 2009. The ISAR 2007 Video Is Available! 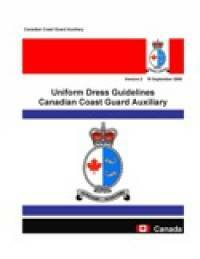 The Coast Guard Auxiliary is a Good Cause! A Salute from Former President George Bush, Sr. Celebrate with us CCGA´s Silver Anniversary in 2003!